‘The Chinese Exclusion Act’ airs on 'American Experience' May 29, part of a slate of CPB-supported films premiering on public media this month, Asian Pacific Heritage Month. CPB-supported documentaries highlighting Asian-American experiences make their television debut on PBS and WORLD channel this month, Asian Pacific American Heritage Month. Films range from “The Chinese Exclusion Act,” the exploration of the 1882 law that barred Chinese laborers from entering the U.S., to “Resistance at Tule Lake,” about Japanese Americans who resisted internment during World War II, to “Who Is Arthur Chu?” which follows the polarizing 11-time “Jeopardy!” champion as he confronts his critics. In addition, a virtual reality “Pacific Gateway: Angel Island VR” will be posted on American Experience’s Facebook page. 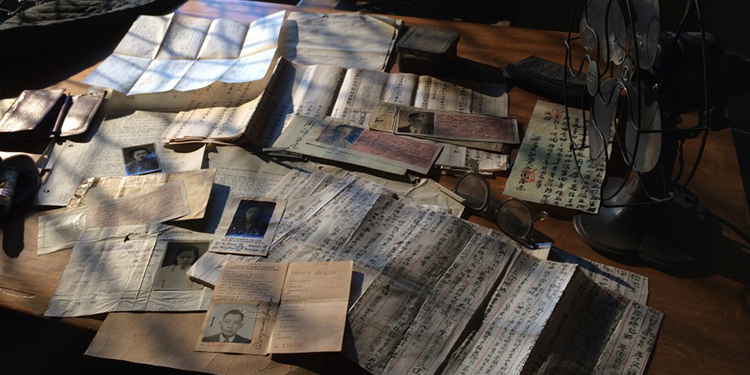 The five-minute immersive experience explores the poignant stories carved into the walls of Angel Island Immigration Station by the Chinese laborers detained there, sometimes for years, after the Chinese Exclusion Act went into effect. “Resistance at Tule Lake,” 7 pm ET/6 pm CT May 6 on WORLD channel. Director Konrad Aderer tells the story of the Tule Lake Segregation Center and the 12,000 Japanese Americans who resisted the United States government’s internment during World War II. “Finding Kukan,” 8 pm ET/7 pm CT May 8 on WORLD channel’s “America ReFramed.” Filmmaker Robin Lung documents her seven-year journey investigating the work and legacy of Chinese-American visionary Li Ling-Ai, the uncredited producer of “Kukan,” which showcased China’s resistance to Japanese occupation during World War II and won an Oscar in 1942. “Random Acts of Legacy,” 8 pm ET/7 pm CT May 15 on WORLD channel’s “America ReFramed.” Filmmaker Ali Kazimi finds a rare cache of 16mm home movies spanning from 1936 to 1951 made by Silas Henry Fung, revealing a creative and enterprising Chinese American household in middle America during the Depression years. “Pacific Gateway: Angel Island VR,” posted on American Experience’s Facebook page May 28. 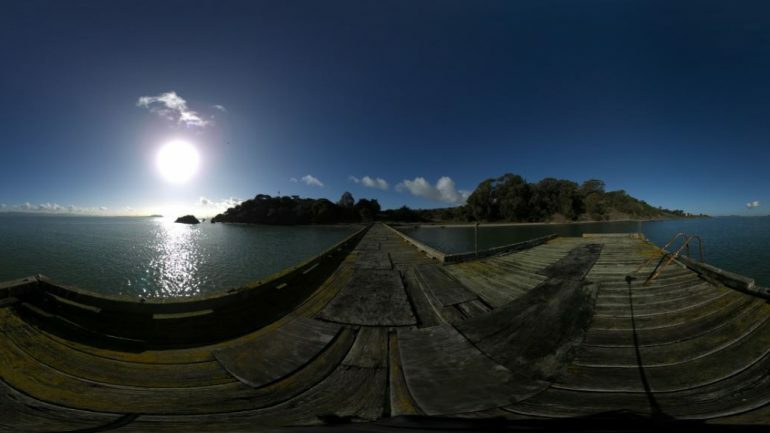 A fully immersive virtual reality experience by veteran filmmaker Felicia Lowe, cinematographer Justin Chin and animator Ruth Lingford takes viewers to the historic Angel Island Immigration Station, where poems carved into the walls tell the stories of Chinese immigrants who were detained and interrogated after the passage of the Chinese Exclusion Act. This VR, approximately five minutes long, will be viewable with virtual reality goggles. “The Chinese Exclusion Act,” 8 pm ET/7 pm CT, May 29 on PBS’s “American Experience” (check local listings). Directors Li-Shin Yu and Ric Burns explore the 1882 law that made it illegal for Chinese laborers to enter America and for Chinese nationals ever to become citizens of the United States. The film examines the economic, cultural, social, legal, racial and political dimensions of the law, repealed 61 years later; the forces and events that gave rise to it; and the effect it has had, and continues to have, on American culture and identity. The films, which can be streamed for a limited time following their broadcasts, are presented in partnership with the Center for Asian American Media (CAAM), which is also hosting CAAMFest, the nation’s largest showcase for new Asian American and Asian films, in the San Francisco Bay Area May 10-24. Viewers of more than 100 CAAMFest screenings and the Asian Pacific Heritage Month television programming can join the conversation online through the #MyAPALife social media campaign. WORLD channel, a 24/7 multicast channel available through public television stations in most of the country, is airing and streaming a number of other Asian and Asian American films this May. Check your local PBS station listings and worldchannel.org/myapalife.